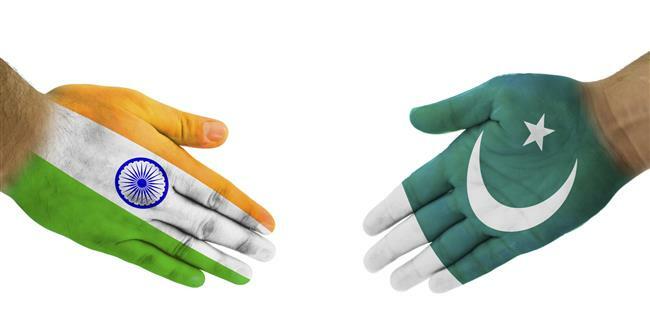 Islamabad’s decision to send High Commissioner Sohail Mahmood back to India just in time to host the Pakistan National Day reception in New Delhi, and New Delhi’s decision to send the Minister of State for Agriculture and Farmers’ Welfare, Gajendra Singh Shekhawat, to attend the reception indicate that good sense may have prevailed on both sides. More pertinently, since the 19th of this month, India and Pakistan have not fired at each other across the border in Jammu and Kashmir barring one exception, a welcome calm after several weeks of incessant ceasefire violations. And yet, unless the two governments are willing to discuss and resolve the triggers that may have led to a series of incidents of harassment of diplomatic personnel, we may see a repeat of such incidents. Harassment of High Commission personnel requires critical attention because maintenance of diplomatic courtesies is not just a matter of instrumentality and convenience, but also represents the civility of the host state and its people. Put differently, how we, and Pakistan, treat the representatives of each other reflects what we essentially are as nations. Waylaying a diplomat’s vehicle carrying young children is disgraceful. Reports indicate that there were two proximate causes behind the recent diplomatic stand off. The first one appears to be the disruption of utilities to the under-construction residential complex of the Indian High Commission in Islamabad, a property adjacent to the present High Commission building. Pakistani authorities also raided the complex and expelled Pakistani service providers. India termed this unjustifiable given that the complex, duly authorised by the Pakistani authorities, was being constructed to house its diplomatic personnel. Pakistan responded that while the Indian housing complex in Islamabad is at an advanced stage of construction, a request by Pakistan to allow construction of a housing complex within its High Commission premises in New Delhi has not yet been approved by the authorities, despite reminders. The second issue was of club memberships for diplomats. Pakistan has refused to admit Indian diplomats to the Islamabad Club in retaliation for corresponding Indian clubs charging what it considers exorbitant amounts for membership. India points out that the government cannot interfere with how private clubs manage their membership procedures. Pakistan, however, argues that there should be a Memorandum of Understanding for reciprocal club memberships for each other’s diplomats. While letting the other side carry out construction of their respective residential complexes can be worked out at the government-to-government level, the membership of private clubs is a more complicated issue. Disagreements and spats stemming from these issues, in the generally tense atmosphere of ceasefire violations and the resultant political rhetoric, have led to highly undesirable acts of harassing diplomatic personnel who are protected under the 1961 Vienna Convention. It is also of concern that the two establishments allowed routine disagreements to become a major diplomatic stand off at a time when relations are so tense. Aggressive surveillance of each other’s diplomatic personnel is nothing new in the India-Pakistan context. Back in 1990, during the initial years of the insurgency in Kashmir and the heightened fears of an India-Pakistan military escalation, it had become particularly difficult for diplomats to work in each other’s countries. The situation was far worse than it is today, and yet the two Foreign Secretaries were able to reach an agreement on the treatment of diplomatic personnel. They agreed to a code of conduct by August 1992 that year “to protect diplomatic personnel, guaranteeing them freedom from harassment”. Over and above the political sanction given to such harassment of diplomatic personnel, there was also a feeling at the time that much of the harassment happened because the local authorities were not properly informed about how to deal with the High Commission staff of the ‘enemy’ country. Hence the two sides further decided to translate the code of conduct into Hindi and Urdu and make it available to local police stations and lower-ranking officials. However, such thoughtful measures never stopped the habitual mistreatment of the ‘rival’ state’s diplomats. This brings us to an indirectly related topic — of dealing with each other’s spies. How should India treat Pakistani spies caught in India and vice versa? For the record, both countries have claimed that they do not carry out espionage in each other’s countries. When their operatives get caught, they routinely feign ignorance even though when released from the captor’s custody, the former spies cross over to their own country to claim that they were indeed engaged in espionage on the other side. What is worse is that undercover operatives are often subjected to the most inhumane forms of torture by the captors if they happen to get caught. Moving forward, we must admit and acknowledge that first, our countries spy. Second, that espionage is very much part of statecraft that all modern states engage in, as do India and Pakistan. To claim otherwise would be no less than laughable hypocrisy masquerading as pious platitudes. Third, that those engaged in espionage should be expelled rather than tortured or killed. As a matter of fact, the Cold War was replete with instances of spy exchanges with or without the general public knowing about it. As recently as in 2010, Russia and the U.S. exchanged spies in the city of Vienna. India and Pakistan should also, therefore, look at the issue of espionage as part of essential statecraft and deal with spies in a professional and humane manner. Hypernationalism and grandstanding can make professional handling of these issues difficult. The state of communication between India and Pakistan is at its lowest ebb in more than a decade: the Directors-General of Military Operations (DGMOs) have not considered it appropriate to meet despite constant firing across the J&K border; contacts between the respective High Commissions and the host governments have been reduced to ‘demarches’, ‘summons’, ‘notes verbale’ and stern warnings; and high-level political contacts, such as the visit of Pakistan's Commerce Minister Pervaiz Malik to India, have been called off. While the discreet meetings of the National Security Advisors are welcome, they have hardly achieved anything. Given that the year ahead is critical for India and Pakistan and the bilateral relationship, the focus should be on enhancing and improving communication. On the positive side, however, there has been some subtle messaging from the Pakistani side about its desire to normalise ties with India. In a rare interaction with a group of Pakistani journalists, Pakistan’s army chief, General Qamar Bajwa, laid out his view of the country’s future course. A close reading of his recent and earlier statements suggests that there is a desire on the part of the Pakistan army to normalise relations with India, something decision-makers in New Delhi should capitalise on. Clearly, for this to happen, Pakistan should also initiate tough action against anti-India terrorist groups based in Pakistan. The fact that the Indian High Commissioner and the defence attaché were in attendance at the military parade to mark Pakistan Day in Islamabad indicates that the channels of communication have begun to open up. The two sides must build on it.